1 wolf, 2 moose, 3 cougars, and more! 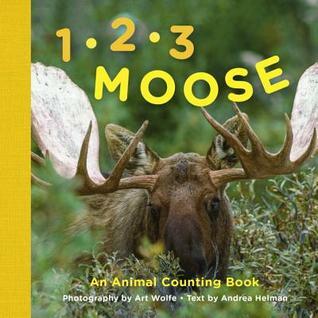 Award-winning nature photographer Art Wolfe’s engaging photos of animals introduce young children to wildlife while also teaching them numbers and how to count in this colorful and educational board book. For parents and youngsters who are great animal and nature fans this makes for a great read. In addition to the counting aspect of the book (from 1 to too many to count! ), there are gorgeous photographs representing different animal species, including moose, a wolf pup, orcas, auklets, and snow geese. The author also includes an interesting fact about each species, such as the fact that cougar kittens purr when they are happy or that orca babies double in size in their first year, or that male elk whistle to gather together. While a couple of the photographs are a bit blurry it isn't really noticeable. There is much here to be enjoyed. O is for orca and P is for puffin! With beautiful photographs by acclaimed nature photographer Art Wolfe, this book brings the alphabet to life for toddlers through colorful animals and landscapes. Wildlife in the book includes auklets, bears, coyotes, deer, eagles, lynx, salmon, urchins, and more. 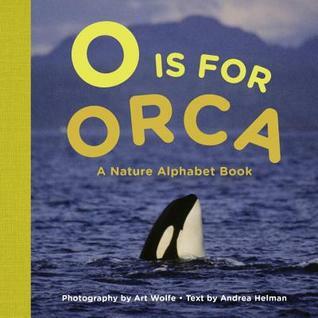 O is for Orca provides a fun and beautiful introduction to nature for the littlest readers. Most of the letters are represented by animals with a few land features thrown in, although X and Y are skipped, I'm assuming because of space limitations in the board book format. Since the focus here is on animals of the Pacific Northwest, with some land features mixed in, it limited the words the author could use. Despite this the book is beautiful with a basic fact included with a beautiful photograph for each letter (except X and Y). 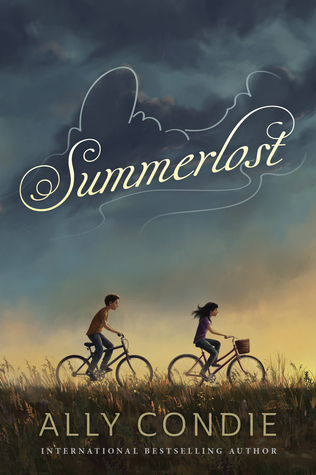 BOOK RELEASE DAY BLITZ: Ally Condie's Summerlost w/ letter from author and GIVEAWAY! NOTE: Check back later in the week for a review! Edward feels very protective towards his family. His father's genius doesn't make him very practical and he seems disappointed that Edward doesn't have his knack with machines. Plus, Edward's mother and older sister Jane are obsessed with society and getting Jane married. Edward's other sisters, Olivia and Parthenia, have their own idiosyncrasies. When 'cousin' Freddie shows up with a crash (literally), Edward immediately suspects that something else is going on. Living on British Mars during the years of Britain's conflict with Frances, Napoleon, Edward really wants to be a spy, but thinks his family needs him more. Things take a turn for the worse after Freddie's arrival, when Freddie's parents and older sister are abducted. Edward, Olivia, and Parthenia (Putty) set off with Freddie to rescue their family, but things only go downhill from there. Ahoy, mateys! Set sail for fun and adventure on a pirate ship full of puppies! Wally is a pup with a nose for adventure. So when he stumbles onto a ragtag group of puppies who sail the seven seas, he knows he has to join the fun! But if pirates are supposed to be gruff and tough, this furry little guy isn’t exactly first-mate material. Does he have what it takes to become a full-fledged puppy pirate? Two perennial kid favorites—dogs and pirates—combine in this new chapter-book series perfect for fans of the Rainbow Magic series and all things piraty! Wally, a golden retriever pup, left the farm in order to find a place to call home. When he encounters a crew of puppy pirates he is determined to join them. The problem is that he is afraid of a lot of things and the pirate crew isn't exactly welcoming. So, Wally stows away in a crate of steak. While in hiding he runs into another stowaway, a young boy named Henry. Together the two must face the plank and pass the tests the captain puts before them in order to become part of the crew. 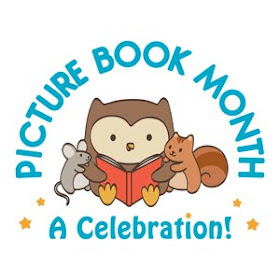 First, I have to say that the cover is absolutely adorable with the puppy in the pirate hat. Secondly, the story moves quickly and pleasingly. Wally is a fun character that puppy-loving readers will want to cheer for, especially as he faces the challenges put before him. The other characters are just as charming, from the pug twins, Puggly and Piggly, who love to pull pranks, to Captain Red Beard, who'd forget his hat if it wasn't on his head to the rascally Chihuahua cook, Steak-eye, who only cooks nasty tasting stew (at least until Wally gets involved). 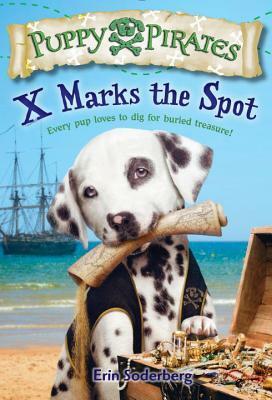 For young readers who like pirate stories and puppy stories this series is a surefire winner. Wally and his human friend, Henry, have passed the test. They are now officially puppy pirates—and just in time for an exciting new adventure. A treasure hunt! The puppies sail to a deserted island with treasure map in paw, ready to dig. But uh-oh! 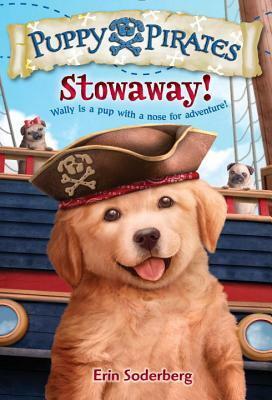 This island isn’t deserted after all. . . .
Wally, the golden retriever puppy, and his pirate friends are off to find treasure. With Growlin' Grace's treasure map they are sure to find it. But the map appears to be blank and it takes Henry, Wally's best human friend to figure out why. Once they reach the island, all the excitement leads the crew to leave Wally, Henry, Puggly and Piggly (mischievous pug twins) behind. Can they find the rest of the crew? What about the treasure that seems to be guarded by a bunch of dalmatian. A fun addition to the Puppy Pirates series for young readers who enjoy adventure stories with lots of excitement and plenty of amusement. The theme of just what makes a treasure shines through without being heavy handed. And More True Stories of Animals Behaving Badly! These bunnies may look adorable, but there's more than meets the eye! In Rascally Rabbits, meet some rabbits that cause nothing but trouble, a rescue pup who will eat ANYTHING, and a sneaky bear with a taste for treats. Readers won't stop laughing as they read these hilarious--and completely true!--stories. Filled with engaging photos, fast facts, and fascinating sidebars, readers won't want to put this book down. Animals can add a great deal to our lives, but like children they can be difficult at times as well. 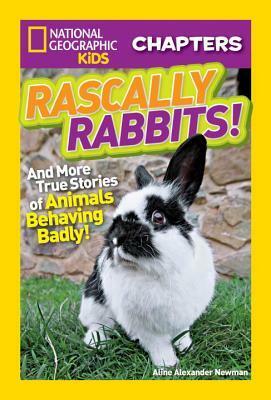 In this National Geographic Chapters book the stories of trouble-causing animals are presented. Escaping rabbits, rabbit and goat friendships, a thieving bear, and a mischievous dog all make an appearance. 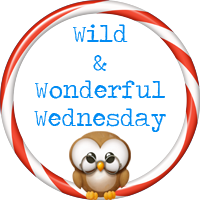 Young readers who love animals are sure to enjoy reading about this animals and their 'bad' habits. As always, the gorgeous photographs, informative sidebars, and other interesting facts add to the books appeal. The stories are well-written and easy to follow as well as being quite amusing. A great addition to a fun series perfect for young animal lovers. What happens when conservationists meet rhinos in trouble? They arrange to airlift them to safety! Follow National Geographic Explorers-in-Residence Dereck and Beverly Joubert as they move rhinos out of harm's way, meet a courageous little Hawaiian monk seal, and a pair of Siberian tiger cubs fighting for survival. Readers will cheer as they read these completely true stories of animal rescues. Filled with engaging photos, fast facts, and fascinating sidebars, readers won't want to put this book down. Human efforts to rescue endangered animals make for rather compelling stories. 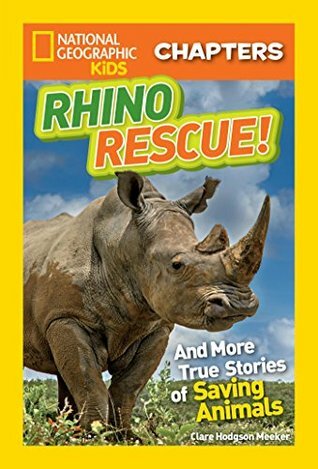 Rhino Rescue does not disappoint in this regard. The experiences of rescuing a badly injured monk seal, orphaned tiger cubs, and African White Rhinos make for compelling reading. The amount of work that goes into helping these at-risk animals is amazing as are the people who work so hard to help them. Children who love animals or are considering working in the field of animal rescue will find this book fascinating reading. The sidebars that include additional generic information about the different species as well as the brief facts scattered through out the book provide further interest-catching information. Another winning addition to a great series. 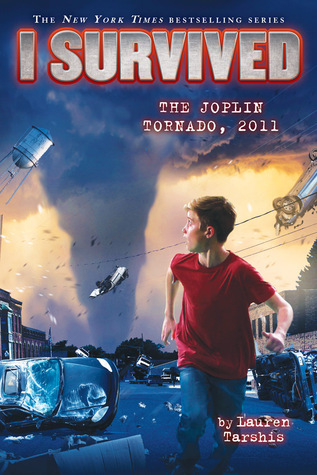 Eleven-year-old Dexter has always wanted to see a tornado. So when he gets the incredible opportunity to go storm chasing with the famous Dr. Norman Gage, he has to say yes! Dr. Rays is the host of Tornado Mysteries, the show that Dex and his older brother, Jeremy, watched every night until Jeremy joined the U.S. Navy SEALs and left Joplin. This I survived series is one of the most popular in my library. And it's not hard to see why. The books are relatively short and action-packed. This one revolves around an 11-year-old boy named Dex who misses his brother Jeremy who is a Navy SEAL. His experiences with Dr. Gage as they track the coming storms provide a look at not only the science of weather tracking, but the dangers of storm chasing. When Dex and Dr. Gage get caught in the massive tornado, they have to find a way to survive the savagery of the storm. Can Dex step up like his Navy SEAL brother or are they doomed to lose their lives to the storm? Tarshis always does a great job of providing just enough vivid detail to intrigue readers without overwhelming them, which makes this series great for reluctant readers as well as more experienced readers. The illustrations add a nice touch, helping readers visualize the challenges that Dex faces. A great addition to an already compelling series. If you enjoy what I like to call 'stupid' humor than this book may very well be for you. Unfortunately, I find 'stupid' humor a bit irritating at times. 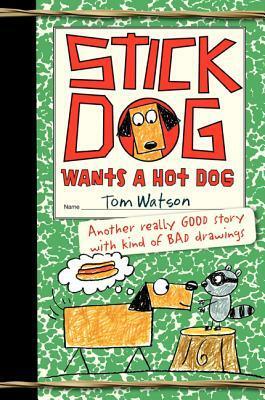 Stick Dog is the only one of the five dogs in the story with any sense, the other four dogs are all clearly lacking in the thinking department (Poo Poo, Karen, Mutt, and Stripes). So when the dogs discover a hot dog cart and start planning a way to get the frankfurters, all but Stick Dog have really silly ideas (helicopter, anyone?). The fact that a band of raccoons is sneaking ever closer to the cart as well provides some competition for the dogs. A side plot involving Karen hiding in a laundry basket slows down the operation but doesn't end it. I can see young readers who enjoy the Diary of a Wimpy Kid series or Dork Diaries really liking the dumbness evidenced throughout the book, but it was a bit much for me. The illustrations are relatively simple but appealing. This history-mystery series continues with another fine display of brains and bravery from the Wollstonecraft Girls—Ada Byron Lovelace and Mary Shelley. Inspired fun for middle grade readers and fans of The Mysterious Benedict Society and Lemony Snicket! Stratford has created another fun mystery involving Ada Byron and Mary Godwin, except this time they have the assistance (?) of their younger sisters. When Mrs. Somerville visits Ada and shares her concerns for her niece, Lizzie, whose father died mysteriously after pronouncing he had some good news to share, and is set to marry Sir Caleb. After visiting Lizzie, it becomes clear that something nefarious is indeed a foot. But Mary's encounter with the ghostly girl in grey complicates things, especially when she turns out to look surprisingly like Lizzie. It's up to Mary and Ada and their allies to figure things out before it's too late. Once again, the author has written an engaging, easy to read story that is entertaining and informative without being so bogged down with history as to slow the story. There is just enough history to be interesting while the mystery takes precedence. I also enjoyed the author's note at the end about the characters and the story lines which explains where the historically based characters and plot come from. A delightful new mystery series for young readers who like some history mixed in with their mystery. 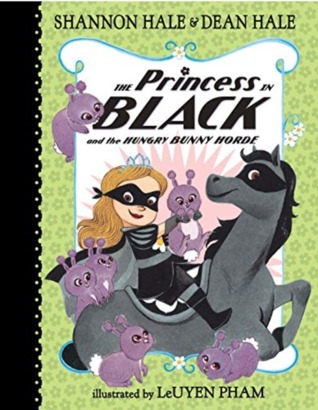 The Hales have created another winning book with The Princess in Black and the Hungry Bunny Horde. Princess Magnolia presents a tough picture when she dresses up and tackles monsters as the Princess in Black. But she is as susceptible as anyone to cuteness, and the horde of bunnies she faces in this book are utterly adorable. It's funny to read about the goat boy's efforts to convince her that the bunnies aren't as sweet as they are cute, as they devour everything in sight, including a goat horn and a complete tree. But interestingly it isn't the Princess in Black who saves the day, which adds a nice twist to the story. The bunnies scaring off the other monsters is pretty funny as well. Pham, as in the other Princess in Black stories, steals the show with her gorgeous illustrations. A surefire winner for young readers who enjoy princess stories or superhero stories or both. This continues to be one of my favorite series to read and share. 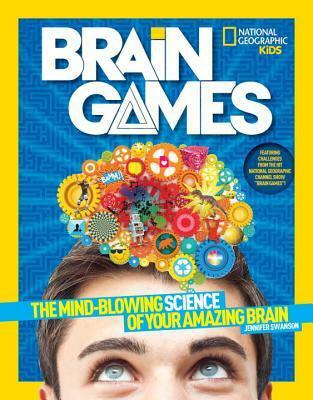 In this fascinating, interactive book -- a companion to the National Geographic Channel hit show – kids explore the parts of the brain and how it all works, brainy news nuggets from a neuroscientist, plus fun facts and crazy challenges. National Geographic has a wonderful way of creating books that are chock full of child appeal while presenting a tremendous amount of information. I thoroughly enjoyed reading this book about the remarkable nature of the human brain. The author takes the reader on a journey through the different sections of the brain and the current understanding about the way the different parts work together. After this introduction, the chapters focus on the following: memory and patterns, emotions, decision-making, and actions. 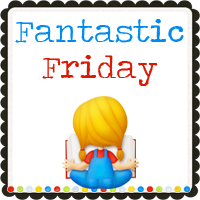 Between each section are some fun brain break activities to further engage young readers. I especially liked the way each section opens with a brain challenge that engages the reader's brain and shows aspects of the topic that will be covered. The book's design gives the book a lot of browsing potential with sidebars, photographs, and charts to help readers understand the sometimes complex ideas. This book is a must have for young readers who are fascinated by the human body and libraries that serve such readers. Lady Ada Byronis a rather eccentric genius as the prodigious age of 11 doesn't really get along well with people. Things are especially awkward when a new tutor shows up along with Mary Godwin who is to be tutored with Ada. Ada doesn't want to be tutored and as a result does everything in her power to avoid and antagonize 'Peebs', the new tutor. Luckily, Mary is strong where Ada is weak, in people skills, and gives Ada a chance. Reluctantly, Ada allows Mary to become her friend and together they establish the Wollstonecraft Detective Agency, named after Mary's deceased mother, a novelist. When Rebecca, a young lady comes to them on behalf of her maid, who confessed to stealing her valuable pendant. But Rebecca doesn't think her maid is guilty and hires Mary and Ada to discover the truth. With Ada's genius and Mary's people skills the two girls set off to find the necklace. A visit to Newgate prison as well as confrontations with suspects and a chase in Ada's balloon give the girls plenty of adventure. One of the things I love about this new series is that it is based on two real people from the time period (Lady Ada Byron, considered to be the first computer programmer and Mary Godwin Shelley, the world's first science fiction writer). While the two girls were in actuality 18 years apart in age, the author has tweaked history a bit to bring these too fascinating people together. The story is entertaining and informative at the same time. 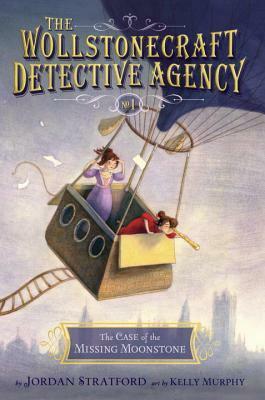 The author does a great job of integrating Ada's math and science work with Mary's imaginative and adventurous personality, creating a delightful new series that stands out as a fun historical mystery. Now that Arnie has conquered the bowling alley and the planet Ufonut, he's back for another round of wild adventures. This time the venue is a traveling game show (in the spirit of WIPEOUT!) that comes to town. Arnie, Peezo, and their other friends can't wait to participate in the crazy obstacle course. But Arnie and his crew are in for a challenge once they see their competition! Arnie and Peezo are back in an all new adventure. 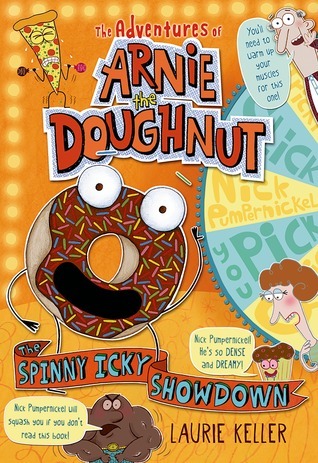 This time they are excited to be participating in their favorite 'reality' show called The Spinny Icky Showdown. But with a pickpocket hiding amongst the participants and Peezo's fear of the Pumpernator (a pumpernickel loaf who is very muscly) threaten to ruin things for everyone. But Arnie steps in and makes a choice that changes everything and the chaos that ensues is quite hilarious. It amazes me that I find these so funny. 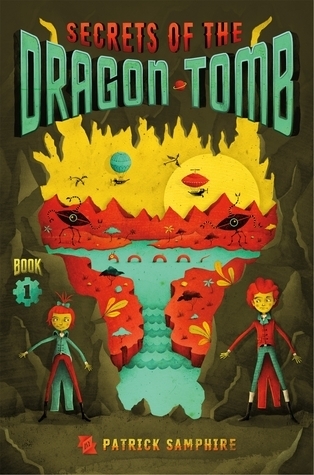 I'm not sure what it is but kids seem to like it too, whether it is the wordplay or just the plain silliness of it all, this series is a sure fire winner for those reluctant readers who like chapter books but love lots of illustrations with their text. 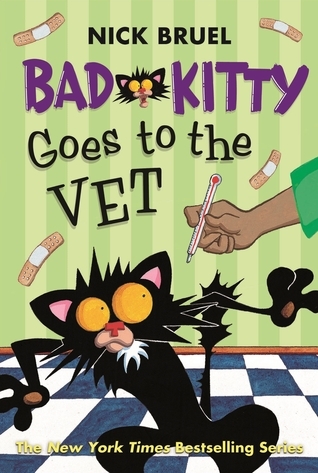 Bad Kitty Goes to the Vet provides the same humor and surprises that all it's predecessors have provided. Bad Kitty is her ornery self, she's just sick, but when her owner tries to put her in the cat carrier, violence results. Only through the use of trickery does Kitty get carried off to the vet's where the animals stare in awe at her shaking and bouncing carrier. But the vet knows what he's doing and manages to contain her long enough to put her to sleep which leads Kitty into a dream world where she may not get into PussyCat heaven unless she performs an act of kindness toward Puppy. Her attempts to perform this act of kindness are hilarious and predictably don't go according to plan (Bad Kitty being nice, who's going to believe it, certainly not Uncle Murphy). Young readers who've enjoyed the other Bad Kitty books are bound to enjoy this one as well (I can't keep them on the shelf in my library). 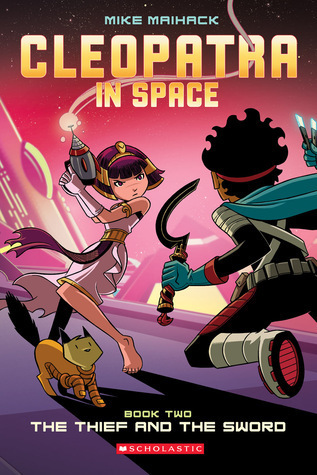 Cleopatra in Space is one of those series that you want to pick up the next book as soon as you've finished it. The action moves at a rapid clip and Cleopatra is always ready and willing for the next fight. When the sword that Cleopatra worked so hard to retrieve in book 1 is stolen, Cleopatra does her best to stop the thief. Unfortunately, she's called off after helping to cause a great deal of destruction to the school. This leaves Cleopatra confused and resentful. But when one of her friends informs her that her presence in the future is connected to some time tablets that could send her home before she fulfills the prophecy, Cleopatra and her friends determine to find them before the bad guys do. The colors and action in this book are amazing and very eye-catching. This series is bound to be popular in most libraries that serve young readers. The sheer amount of work that Hale puts into this series astounds me. The amount of information conveyed through both the text and graphics makes this series a truly winning combination. I even learned a lot of things about Harriet Tubman and the amazing woman she was. 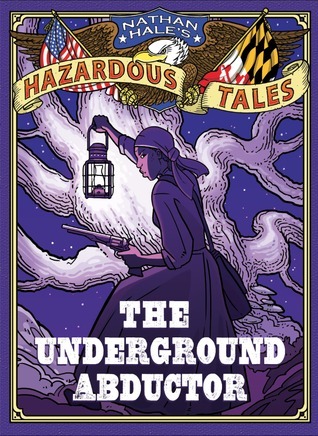 While Hale doesn't shy away from the horrid nature of slavery, he doesn't get too graphic, although sensitive young readers may have a hard time with some of the experiences that Harriet underwent. But sadly that was the reality of her life. The fact that she never lost her spirit and will to live is truly inspiring. Her courage in returning south after finally making her escape shows how deeply she cared for her family and others still living in slavery. Her efforts as well as her strong religious faith and the visions she had lead to her being called the Moses of her people. After the Civil War started she helped the Union win the war by collecting information and encouraging slaves to leave their masters. A fascinating tale told in a way that is bound to draw young readers by the boat load.